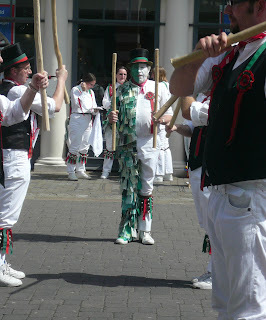 Morris dancers in Canterbury yesterday. I love going to festivals, this looks fun! Morris Dance is a traditional type of dance in which the dancers dance to Englsih folk music. It has been around for many years - come claim back to the 1600s - and it is beautiful to watch.